Here (literally) is where the "Junction" in Grand Junction comes from. Here the mainline from Salt Lake City originally split into the old route through the Black Canyon of the Gunnison and the newer route through Glenwood Springs. 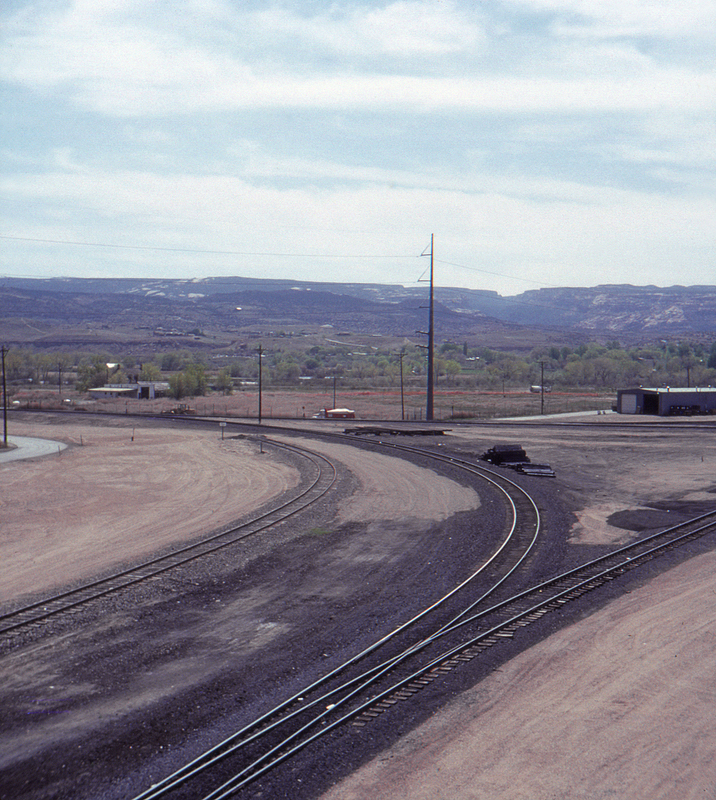 The Black Canyon line is of course mostly long gone and runs only as far as Montrose and Oliver, Colorado where it accesses coal mines.